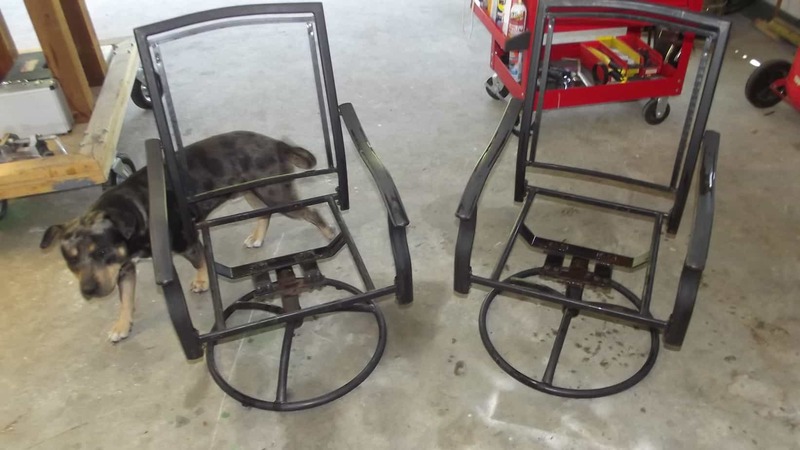 Today's post is a continued series of furniture flips that were done by YOU guys! 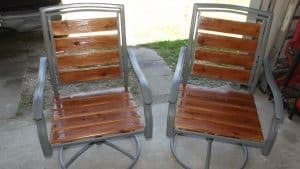 Last year we held a contest looking for 10 furniture pieces to feature on our website, and we loved this patio chair redo. This project was done by Mitch and Melissa Haynie from American as Texas. 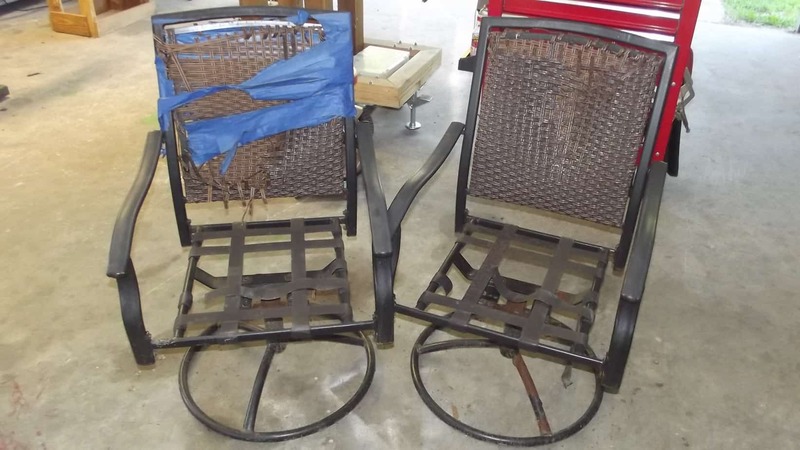 They picked up these two old patio chairs that had definitely seen better days. 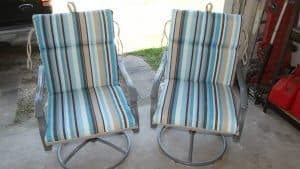 They were being held together by tape and had no seat cushions. 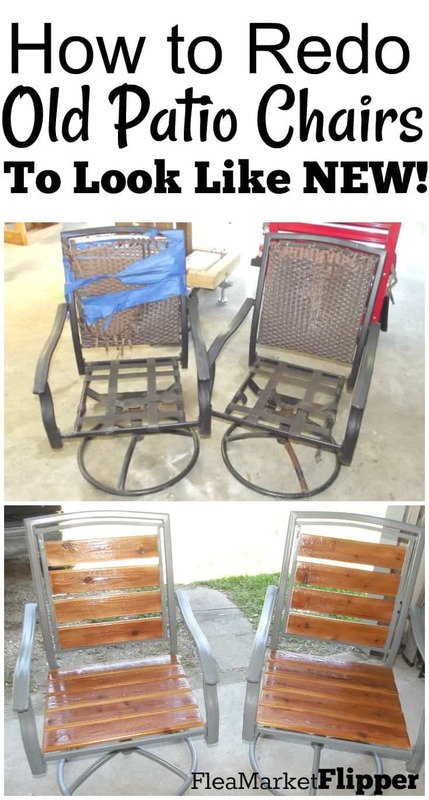 Many people would have discounted them as trash and not messed with them, but like a true picker, Mitch and Melissa saw life in these — they just needed a little help. The first thing they did was cut away all the fabric and tape that was attached to the metal. 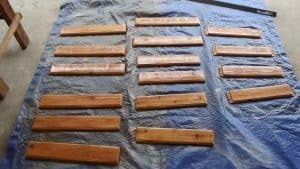 They used Bio Wash to help remove the tape residue, and then scraped them down with a metal brush to get ready for paint. Once the metal was clean and smooth, they painted the chairs with a Rust Stop oil-based enamel paint in a medium grey. The next part is really impressive to me. 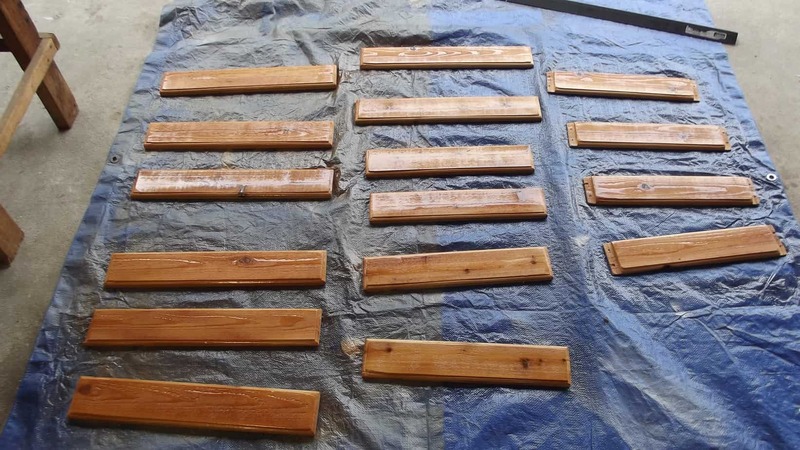 Mitch cut pieces of cedar wood into planks, and beveled all the edges beautifully. 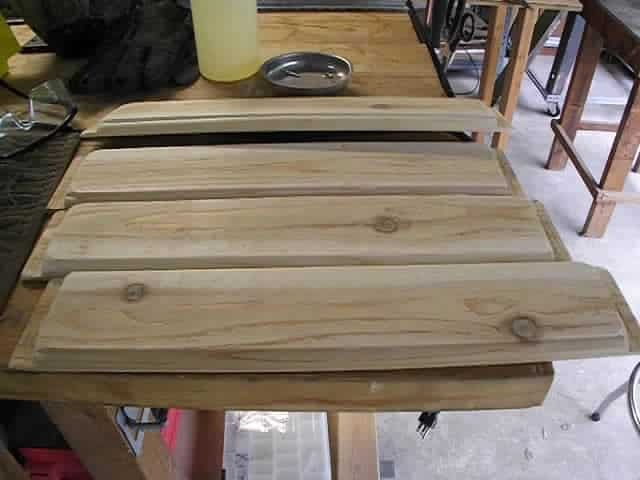 Then they sealed the wood in an outdoor polyurethane before putting the seats and backs together. Look at how the patio chair redo turned out! So beautiful! They added cushions too, but I personally just love the look of the cedar wood. 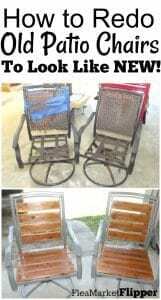 Such a great patio chair redo! We are very passionate about taking someone else's trash, and turning it into something useful, helpful, or beautiful that someone else would love. And it's so awesome to see people who share that passion with us! Check out Mitch and Melissa over on their Facebook Page American as Texas. 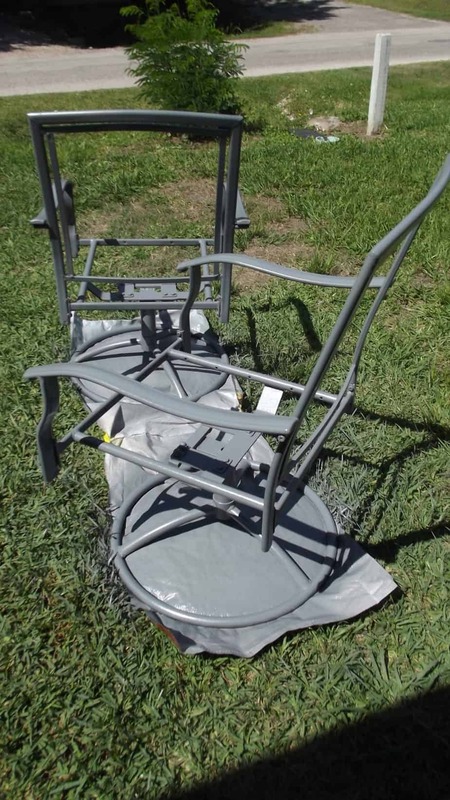 And if you are a serious furniture flipper, check out our Furniture Flip & Ship Course that could help you to double or triple your furniture flipping profits! Melissa married into the world of flipping. She is a flipper, blogger, and stay at home mom of three little ones ages 5,3, and 2. She loves the flexibility that flipping gives for the family and loves getting to work with Rob on a daily basis. Beautiful work. My eyes are open to what I can do. Thank you for sharing. These are beautiful, but there is no mention of how the wood slats were added to the chairs. 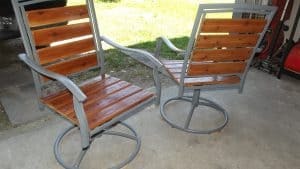 I have four of these exact chairs and would love to redo them. Thanks Patty! I will find out for you from Mitch and add it into the post! Thank you for your question. thanks!! Are you a furniture flipper?